Trailer for Resident Evil: The Final Chapter. The film was originally slated to start filming in Fall 2013 for a September 12, 2014 release date but was canceled for a 2016 release instead. The reason for the film delay was due to the series star Milla Jovovich becoming pregnant with her second child. A TV series is supposedly in the works following the release of this final installment to the Resident Evil film franchise. During filming stunt woman Olivia Jackson suffered a severe injury to her left arm after a motorcycle crash and ultimately had to have the arm amputated. The alleged final installment of the Resident Evil film franchise, however depending on domestic and international gross business decisions may or may not be revised. It is hard to believe that they are still making Resident Evil films, even though this one is "supposed" to be the last one. It has been 14 years since the first one with now 6 films, a bunch of video games and Milla has been at the helm the entire time. You gotta love the juxtaposition with the choice to use Guns N' Roses' song "Paradise City" in trailer right as Alice enters the post apocalyptic city, not my idea of a "paradise". And then they decided to carry the song throughout the entire trailer. Which, combined with some good sound editing and remixing of the song works nicely. 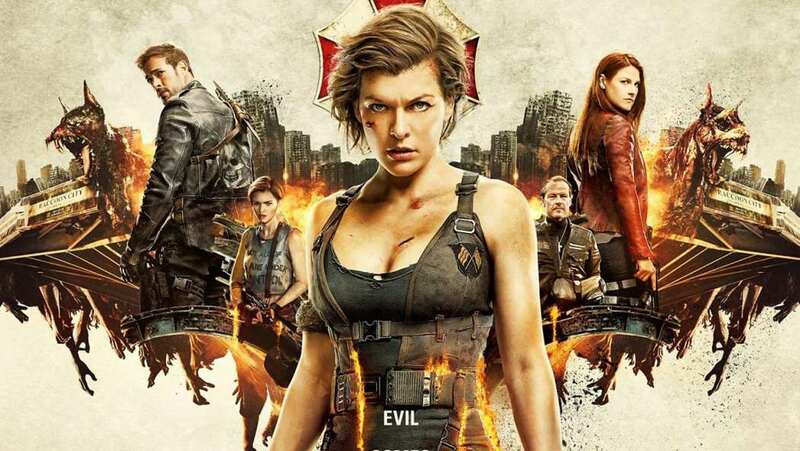 At least with these Resident Evil movies you know what you are in for, not an Oscar worthy performance, but a great entertaining action film with a beautiful strong women at the forefront.